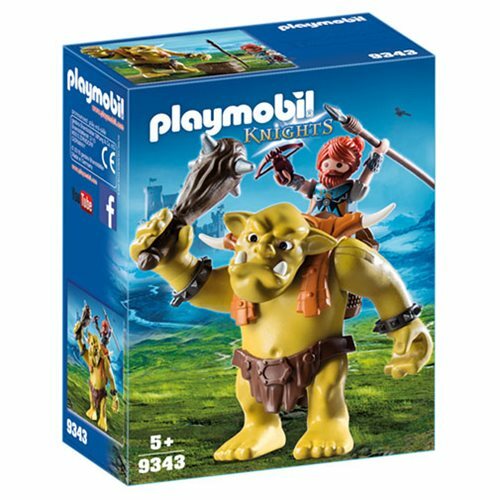 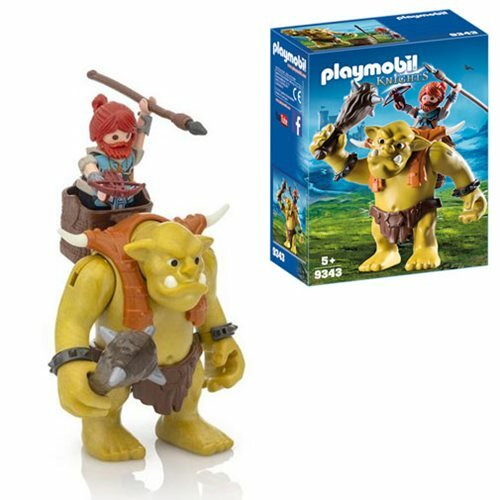 Complete with removable backpack, the Playmobil 9343 Knights Giant Troll with Dwarf Fighter rides into battle! 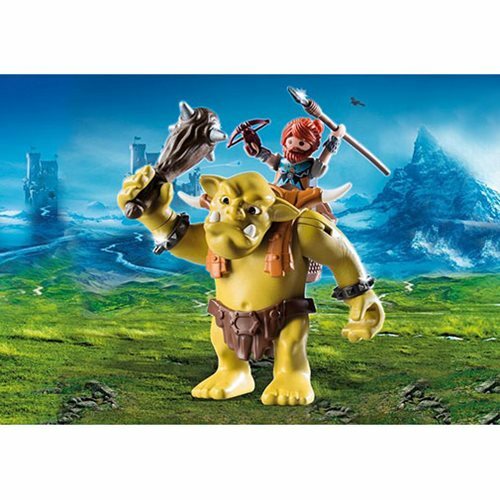 The fully jointed troll includes a club, while the warrior on his back has a spear and crossbow. 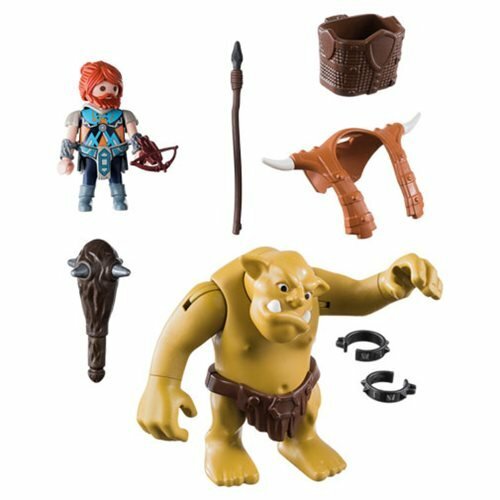 The side horns, teeth, and eyes of the giant troll glow in the dark.